Ok – this little gadget – a bobbin winder – is the new love of my life. Who knew that you could wind a bobbin without a sewing machine? True confession – I have had my sewing machine for years and years. But all it did was sit in the corner and collect dust. I had good intentions of using it, but I really didn't know how to do much besides sew in a straight (um – straight-ish) line. One day, a while ago, I was talking with a friend about sewing. One of the things that held me back was … winding the bobbin thread, of all things. I could never remember how to do it (probably because I didn't use my sewing machine that much). And she said something to this extent – Oh, I don't know how to do it on my machine either. I use one of those bobbin winder thingys. Little lightbulbs started going off in my head – bobbin winder thingy? – you mean you don't need a sewing machine to wind your bobbin? So, of course, I filed this little nugget of information back into the recesses of my brain somewhere and promptly forgot about it. Until … this series of events happened. 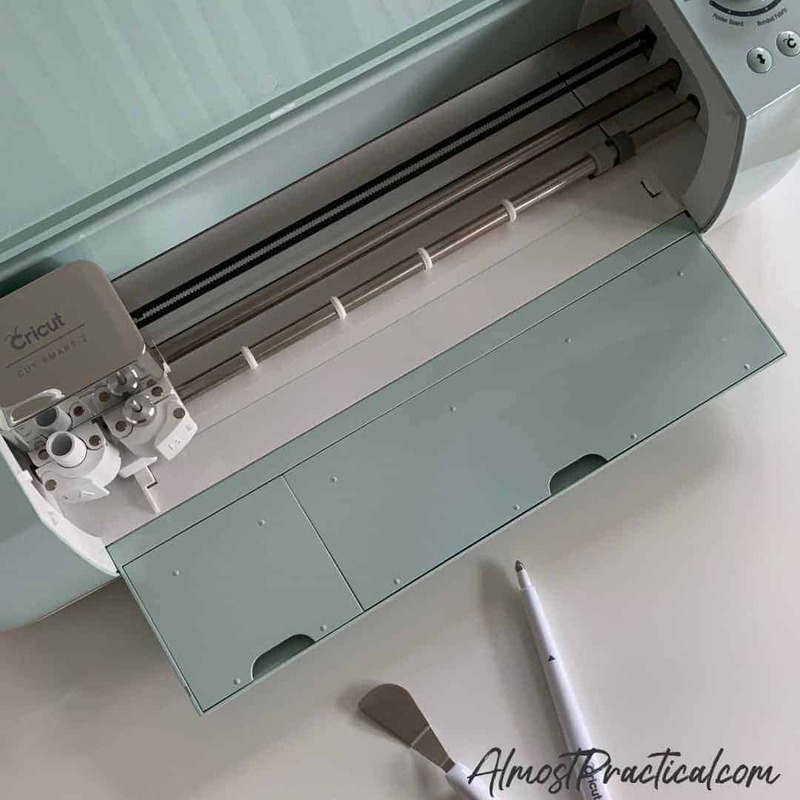 In a nutshell, the Cricut Maker is a precision cutting machine that is capable of cutting FABRIC without a backing. Fabric – that meant that to use my Cricut Maker to it's full potential I would probably need to cozy up to my trusty old sewing machine once again. I was determined to go all in this time and start using these crafting machines to make things. Which meant that I needed … project instructions and sewing supplies. So, I found a simple quilting project to start with – potholders. And I headed to Walmart (because we live in a no craft store zone – except for one small Michael's) to see if I could get what I needed. Found the … Bobbin Winder Thingy … Yes! 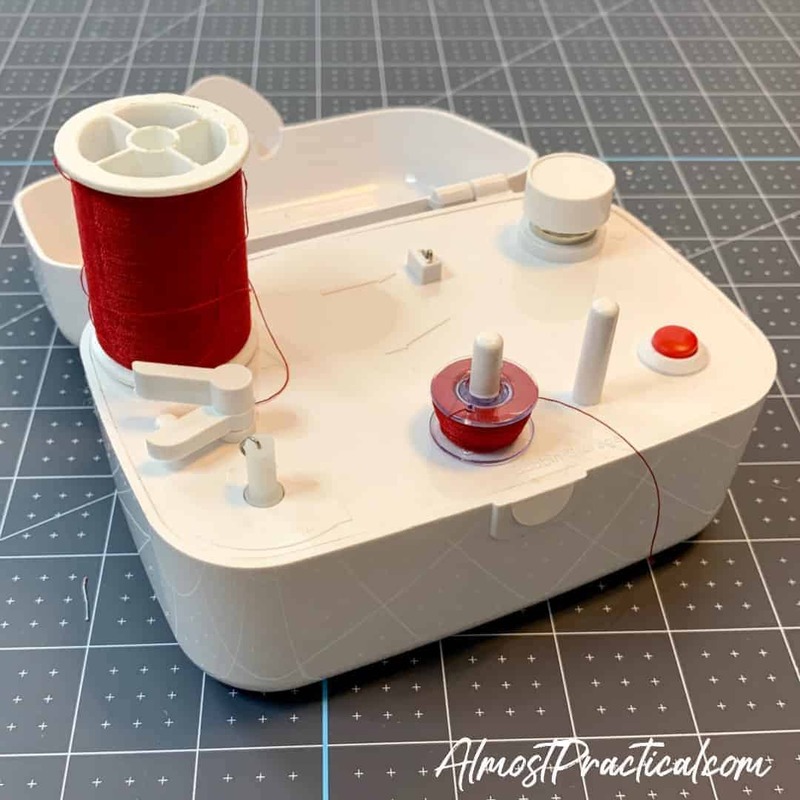 And wouldn't you know it – one of the first things I saw was that little bobbin winder device (it's called a SideWinder) that you can use to wind a bobbin thread without a sewing machine. All those bells were going off in my head as I recalled that conversation with my friend that I had many moons ago. Of course, I just had to get one. And show it to you, too. I created this little video to show you the bobbin winder in action. It is so cool and it is such a time saver. I can't believe that I didn't get one sooner. So, now thoughts are flooding in as to how I can use this bobbin winder efficiently. I could buy multiple empty bobbins, which I probably will do – but it's hard to find Singer 15J type bobbins (which is apparently what I need for my old Singer 7442 sewing machine) in my “no craft store zone”. I ordered this set of 15J bobbins from Amazon – but they are taking a long time to get here, even with Amazon Prime. But how about this idea? I could buy two spools of thread in each color and use one for the bobbin winder and one for the sewing machine. This way, if my bobbin runs out in the middle of a project, I don't have to unthread the sewing machine to wind up the bobbin again. I kind of like that idea. 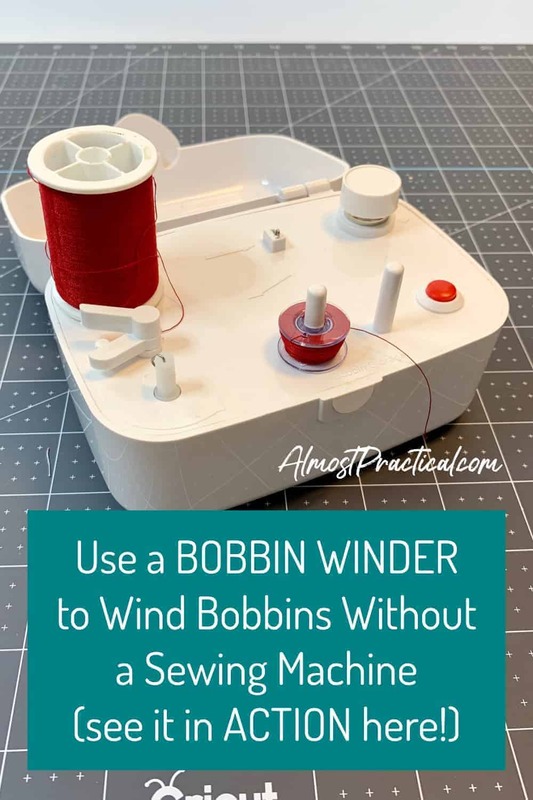 If you have any sewing tips for an efficient process with using a bobbin winder, I'd love to hear them in the comments below.